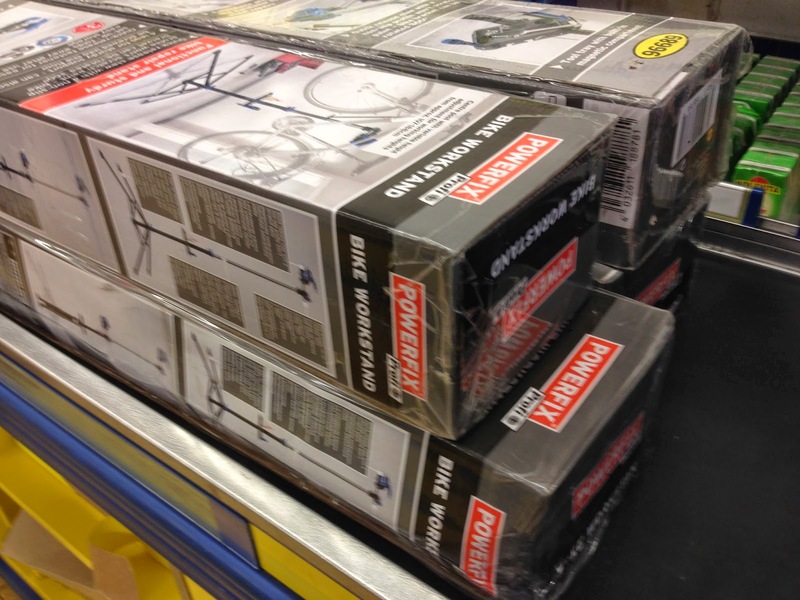 Bike repair stands - as always, £30 for a pretty good stand - Not shop quality, but it was £30, not £300. I have two. 3-year warranty. 'nuff said. Chaincleaners - £4. These are repackaged Barbieri ones, and work very well. You get a packet of cleaner and lube too. With an RRP of between £11 and £15 depending on which shop you believe, at £4 these are a steal. Multitool: this was the stand-out for me. For £6 this Lidl bike tool is a cracker. Weighs 169g. 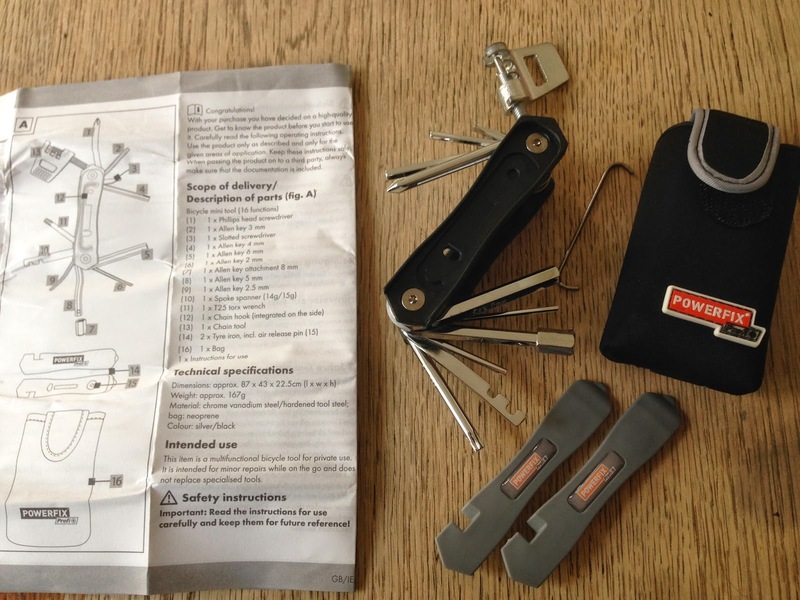 2 to 8mm hex keys and a T25 Torx, two tyre levers that click into the sides, spoke keys, a chain tool and even a chain holder for the fiddly exercise of re-assembly. Comes in a nifty neoprene pouch with velcro and a belt loop for Americans. Most amazingly, it has a 3 year warranty, so keep that receipt. 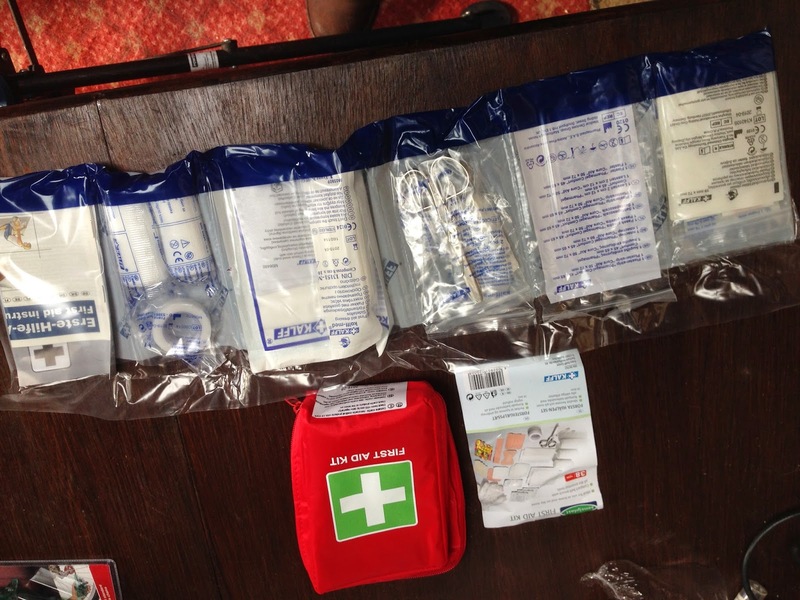 First Aid kit - £3.49: does what it says on the tin. YMMV: Helmets - we have two, they fit. They look OK. Pants: Footpump. Don't bother. The £4 footpump is useless. 100psi took ~200 pumps and was actually only 70psi. Removing the head lets half the air out. Maybe for a football. Maybe. When the largest muscle group in your body is getting sore and you're maybe halfway to a decent pressure, you know they've got it totally wrong.